Suburban subdivisions segregate people based on how much they can spend on real estate. Everybody knows that wealth and poverty exist, but many suburbanites get no closer to either end of the spectrum than their television screen. We humans seem to find comfort in economic homogeneity, and the mall does its best to preserve that condition. 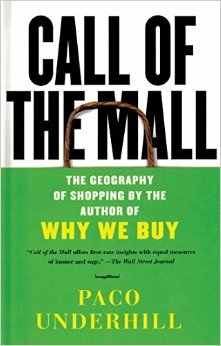 Underhill is a shopping anthropologist, so… a world exactly like ours but where I can get paid to over-analyze human behavior? YES.